The Liberal Rotary Club is now taking entries for the 70th International Pancake Day Parade. This year’s theme is “Connecting the World with Pancakes”. The parade will start at 3 pm and is the final event of the International Pancake Day celebration on March 5th, 2019. 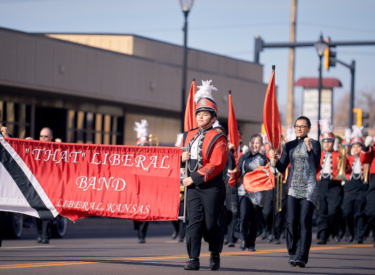 The annual parade starts at the corner of 11th and Kansas Avenue and ends at the intersection of Kansas Avenue and Trail Street. Parade participants will be assigned spots in and around Light Park. There will be prizes in each of 5 divisions. First prize in each division will earn $150, second $100, and third garners a prize of $50. Entries will enter in one of the following 5 divisions: Commercial, Non-Profit Organizations, Schools, Antique Automobiles and Equipment, and Motorized Vehicles. Each year we select three judges that will review parade entries and score them on originality, creativity, and effort. Items such as candy and toys may be given out along the parade route, but we ask that none of the items are thrown into the crowd for every ones safety.